Wild Reverence – The film to see! Soul River Runs Deep > News Current > SoulRiver > Wild Reverence – The film to see! 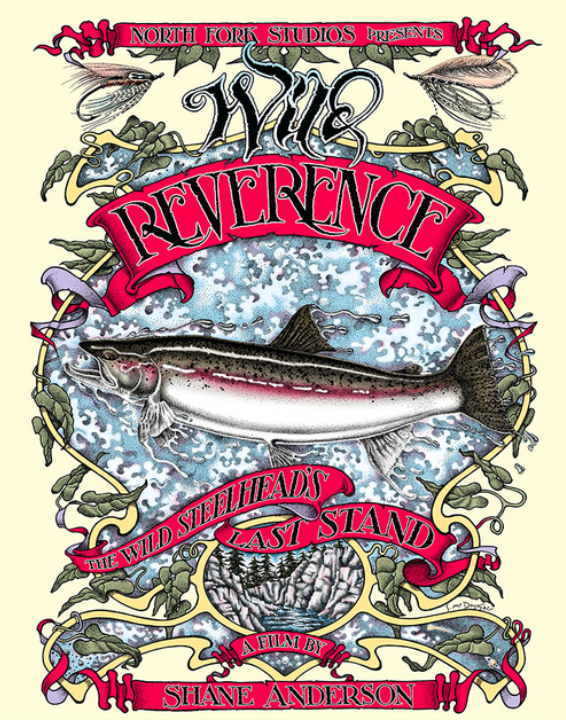 Wild Reverence is a documentary film chronicling the plight of the iconic wild steelhead along the west coast of Amercia. In November of 2012, I made a pilgrimage back to the Olympic Peninsula in Washington state to the rivers I once fished as a boy. This was a once in a lifetime fishing trip and I soon discovered wild steelhead and salmon were disappearing from the rivers and appearing as federally listed under the Endangered Species Act. How could the icons of the Northwest slip toward the abyss of extinction? This discovery left me asking many questions so I decided to take off the rest of the year, cash out my life savings and embark on an adventure up and down the west coast to document and learn about the current plight of wild steelhead and why this fish is so revered. We are constantly mis-informed on information about the reality and the status of our fish until its too late. The effects of shifting baselines is more evident then ever. I wanted to find the truth, look at history and hard scientific fact as well as talk with people who have dedicated their lives to studying and advocating for wild steelhead and salmon. My journey took me from Malibu, CA back north to the Olympic Peninsula in Washington state. I snorkeled some rivers and creeks and fished in others. Everywhere I traveled I met kindred spirits that the steelhead has influenced. Hopefully through my journey you can see the scope of our rivers across the west coast, hear the stories and see with your own eyes where things are working, where they are broken, how WE can turn the decline around, fill our rivers back up with wild fish and save some of the magic for future generations. I hope to give the wild steelhead the spotlight it deserves and through “Wild Reverence” begin a movement to enact some real change before its too late.